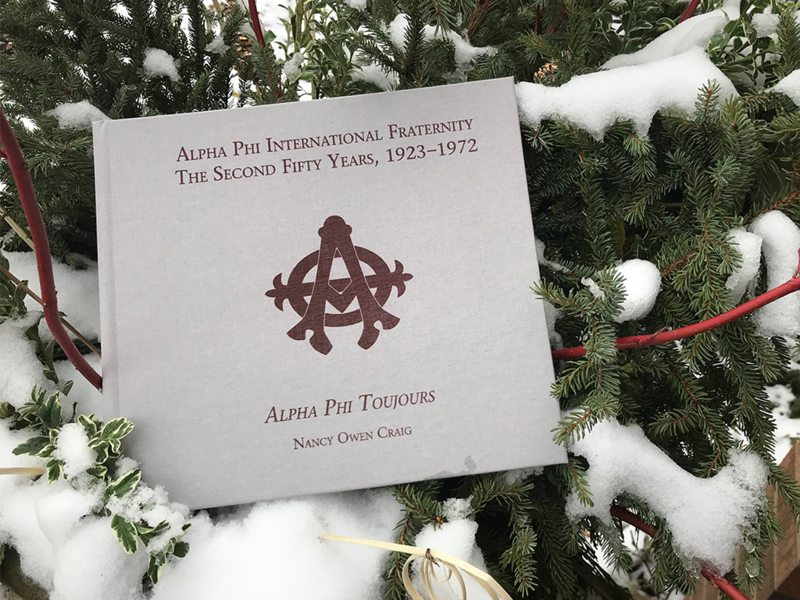 Alpha Phi Foundation is pleased to announce the publication of Alpha Phi International Fraternity The Second Fifty Years, 1923-1972, Alpha Phi Toujours authored by Nancy Owen Craig (Beta Chi-Bucknell). This book is the second in a three-volume series capturing the forces and faces that have shaped Alpha Phi Fraternity for its nearly 150-year history. In the second volume, Craig unfolds how Alpha Phi Fraternity navigated “changes in everything from dress styles to attitudes, from euphoria after World War I to dark days of the Great Depression, from world-changing World War II, Korean and Vietnam Wars to the suspicion of the Cold War climate.” From 1923 to 1972, Alpha Phi Fraternity held 24 Conventions, installed 83 new chapters, and its membership increased from 4,932 to 55,337. These years also marked the beginnings of a collegiate leadership school, the Educational Leadership Consultant program, and Alpha Phi Foundation. 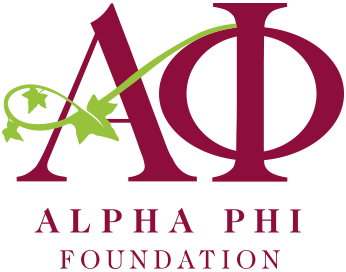 “The record of Alpha Phi’s second fifty years is one of great growth and innovation. We hope that readers are inspired by the strong character and determination shown by our forward-thinking sisters,” said Amy Peebles (Beta-Northwestern), Alpha Phi Foundation Executive Director. Volume II was made possible by the generous donors of the Phyllis Sims Selig Heritage Campaign, initiated by Phyllis’ daughters Sarah Selig (Zeta Delta-Iowa State) and Susan Selig Bullington (Nu-Nebraska). Alpha Phi Foundation extends a special thanks to the Heritage Advisory Group who spent countless hours ensuring that this special project came to fruition, and to Nancy Owen Craig for her continued diligence and dedication to Alpha Phi Fraternity and Alpha Phi Foundation. Craig served as Alpha Phi Foundation Executive Director from July 1995 to May 2002. Five years later, she returned to the Foundation as the Director of Philanthropic Campaigns to serve as the lead fundraiser for the Foundation’s Campaign for Leadership. Now, after a 34-year career as a professional fundraiser, Craig is working on a series of novels with her daughter. The history book project began in 2010 with the purpose of breathing life into Alpha Phi Fraternity’s rich heritage. The first volume was published in 2013 and shares stories of the Original Ten and our growing sisterhood. This second volume tells of how strong women came together to find ways to keep the Fraternity relevant and vibrant through a tumultuous time for Greek life and the world. The third and final volume will recount Alpha Phi stories and milestones from 1973-2022, and its publication will celebrate the Fraternity’s sesquicentennial. Alpha Phi International Fraternity The Second Fifty Years, 1923-1972, Alpha Phi Toujours is available for purchase on Amazon. All proceeds from book sales will benefit Alpha Phi Foundation. ** UPDATE 1/28/19 – For orders with shipping within the U.S., please place your orders on Amazon. For orders with shipping outside of the U.S., please place your orders with Alpha Phi Foundation directly on our heritage page.